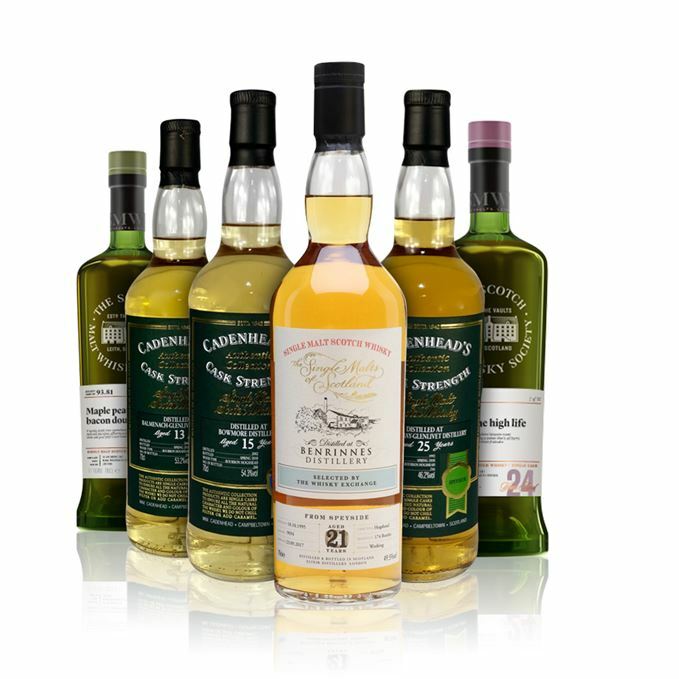 Once again Dave Broom and Becky Paskin split tasting duties this week, tackling six single malts that include three Bs – Balmenach, Benrinnes and Bowmore – and three Glens – Glen Scotia, Glen Moray and Glenlossie. Broom kicks off with a rare and exotic beast: a Cadenhead bottling of Speysider Balmenach that, despite its ‘awkward adolescence’, showcases the distillery’s trademark balance of meaty aromas with soft fruitiness. We stay with rich Speyside distillates as we move to Paskin’s first whisky of the week, a 21-year-old Benrinnes bottled for the Single Malts of Scotland range that brings out a fat, fruity side to the typically meaty Benrinnes character, and gains a very high score to boot. 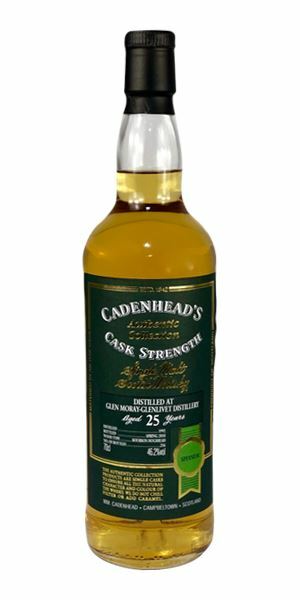 Back to Broom for the last of the Bs, but this Cadenhead Bowmore is a bit of a disappointment, thanks to a raw, smoke-forward and somewhat aggressive character that makes it best-suited to rinsing your glass for a Smoky Martini. The final Cadenhead of the week – a mature Glen Moray – fares much better with Broom, who praises its typically sweet approachability, but counsels against the addition of water. Paskin closes things out with a couple of contrasting drams from the Scotch Malt Whisky Society’s March outturn: first, a youthful and vibrant Glen Scotia, full of peppery spice and smoke; then a delicate and fragrant Glenlossie that’s an absolute delight, transporting Paskin inside a magical sweet shop. There’s low cask influence here, allowing the distillate room to roam and spread its light beefy/peppery mutton pie aromas around. There’s a balancing and steadily developing soft fruitiness as well, and some hints of more savoury, mature notes, with added vetiver and scented woods/preserved lemon and, finally, some earth. Water adds in more beef fat, stewed fruit, tallow and vanilla pod. Big, sweet, fat and mouth-filling. A little oily to start, with some of the meatiness. There’s also now a darker, cereal-driven element which adds nuttiness to the rich, solid mid-palate. The back-palate brings the pepper out, while adding a judicious amount of water reveals drier (almost burnt cereal) and more structured elements. There’s still an energy here, though it’s a little tricky to balance fully. I’ve said it before, but this is such a rare and exotic beast that any bottling should be snapped up. While this example is in a slightly awkward adolescence, it has great distillery character and sufficient sweetness to make it a cracking glass. Beef fat, Beefheart, a big baboon. Abba Zaba! Creamy, sweet vanilla and a ripe fruitiness verging on confectionery – cough candy, rhubarb and custard sweets, sherbet pips. A delicate, dry oakiness adds backbone. …another blast of rich dried fruits and a herbal zing of menthol. 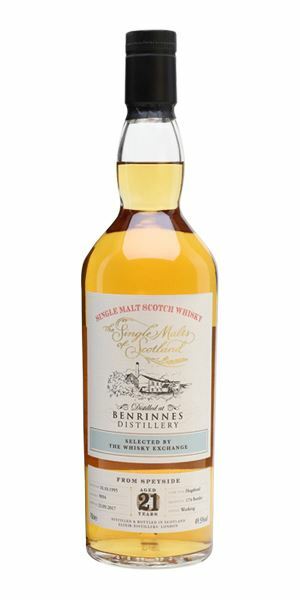 A fat, fruity Benrinnes bottled exclusively for The Whisky Exchange. Scoffing sweeties as rations on a hike through the jungle. Ahh… Bowmore. You never quite know what you’re going to get, which is fun… in a way. This has smoke for sure, but also a burnt biscuit element, before sweet pickling brine comes through, along with fresh crab. The low cask influence brings with it the sensation of the cool tiles in an eel pie shop. In time there’s more cereal; peat-smoked porridge oats (© D Broom). Water, however, makes things more immature and shifty. 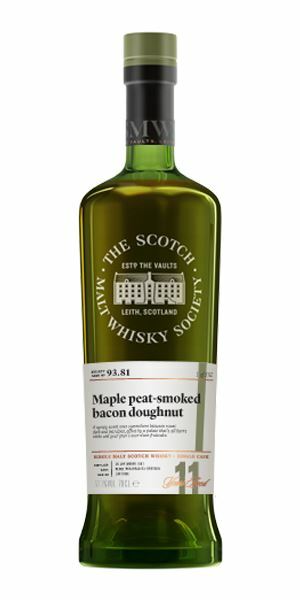 Immediate smoke, and pretty dry as well – bone-dry in fact, with only this touch of peppermint in the centre adding lift. The heat, which was acceptable on the nose, now gives everything a rawness. Water adds in more smoke: a just lit newspaper in the grate, then salinity and a hint of florals. All the elements (though light) come together. Smoke-forward, slightly aggressive. Use as a rinse for a Smoky Martini. A touch of blabber and smoke. Fresh, with some light, freshly-sharpened pencil aromas, then red fruits galore: cherry blossom, strawberry and rosewater. There’s a tiny touch of heat, but things are rather lovely and, in time, quite creamy. Water rounds all of this off with the addition of lime hulls and, in time, fresh ginger juice and galangal. Very Glen Moray in its hugely approachable sweetness. There’s this tangerine element on the tip of the tongue, alongside custard slice, flapjack and macadamia-like buttery nuttiness. You lose the impact with water, which ups a powdery element and increases the grip. Currant leaf and fruit, then the ginger. To stay on the sunny side of the street, keep water on the side. Quite floral to begin, with developing notes of lavender and fresh shoe leather, continuing into lemon meringue pie with lime zest and ginger. Water releases lush fruit – green plums and blood orange. Ginger and lime marmalade, lavender honey and a smoked biltong element. Some peppery spice builds towards the mid-palate. Dry and spicy. The tongue tingles along the sides as a soft smoke spreads. Youthful and vibrant. Would make a good reviver after a blustery walk on the seafront. Tucking into a hipflask as the rain beats down. Rather pale in colour for a 24-year-old, signifying the use of refill casks. They’ve been kind to delicate Glenlossie, which still retains notes of fresh citrus fruits, green grass, newly-cut hay and a confectionery quality akin to fresh gobstoppers. Sweet and viscous, a confectioner’s delight! Sweetness comes from fluffy icing sugar and chalky candy (the kind you wear as a necklace or bracelet), alongside a tart gooseberry fruitiness. Meanwhile, fizzing Parma Violets provide a floral quality, as candied ginger adds spice. Fresh, fruity, floral and fizzy. Getting carried away at Weasley’s Wizarding Wheezes. Batch 140 23/03/2018 Only two distilleries this week: Ardbeg Grooves Committee bottling and the new Jura range.